Last Sunday Jennifer Rundlett made a presentation to the Columbia Church of Christ during our Bible class time on God and the arts. I want to tell you about it as a way of recommendation. Jennifer Rundlett, M.M., teaches music at Frederick Community College, is a professional flutist, and along with her husband Simon (who is a professional violinist), is a member of the Frederick Church of Christ. 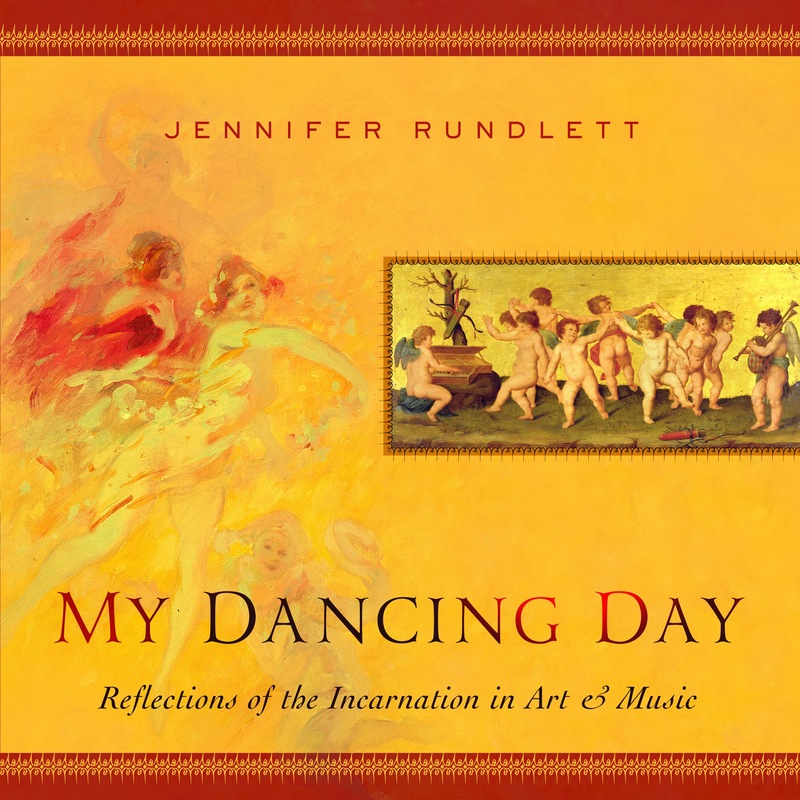 Besides teaching and playing music, Jennifer is the author of a new book titled My Dancing Day: Reflections of the Incarnation in Art & Music. I’ve not read the book yet but based on the presentation, I anticipate reading a great book. You can learn more about Jennifer and her work at her website (www.godthruthearts.com). Jennifer’s presentation focused on the annunciation scene in Luke 1:26-38. After the passage was read, she drew the church’s attention to a picture by Fra Angelico, Altarpiece of the Annunciation (pictured on the left) and explained the picture. Take note in the picture of Adam and Eve being expelled from the garden while the angel foretells the birth of Christ. . . God is redeeming creation from the fall. As Jennifer explained the picture and how the artist was trying to capture the scene, she called our attention to several pieces of music as well. Throughout the presentation, the church was challenged to find ourselves within the scene rather than analyzing the art at a distance, so to speak. Throughout the presentation, I learned, was encouraged, and my imagination was drawn into that moment when the angel spoke to Mary. In fact, in contemplating this redemptive act of God, I wanted to worship God all the more. I also think her work is needed, especially among the Churches of Christ since we tend to be very left-brained in our faith. So you might consider inviting Jennifer Rundlett to share some of her work with your church, as I am confident that you will learn as well as be encouraged in your faith and inspired to worship God all the more. This entry was posted in Churches of Christ, Columbia Church of Christ, Faith, Scripture, Worship. Bookmark the permalink. Thank you so much Brother Rex for your endorsement! I am available to give presentations/classes/talks based on the scenes surrounding the birth of Jesus and I am working on new material now for “The Way of the Cross” that focuses our hearts more deeply on the last words of Christ on the Cross and how he was still teaching his great “Sermon on the Mount”, I look forward to being with Columbia Church of Christ again….until then God Bless You! Do you have an available recording of the presentation? I would love to hear it! Ah, never mind! I found her link on Youtube! Thanks for posting this. I can’t wait to watch the youtube presentation. Both of my daughters are artists: my oldest graduated from UNT with a degree in theatre and my youngest is pursuing her degree in vocal music. Brittany (my oldest) is also into painting and writing while Alyssa is more into music and writing. When my wife started college years ago she was a graphic artist (although she switched to business management) and I began college as a theatre major (though I switched to theology). This topic is of particular interest to my family. Well, perhaps this offers you another resource to explore this topic. I think you will enjoy Jennifer’s work.